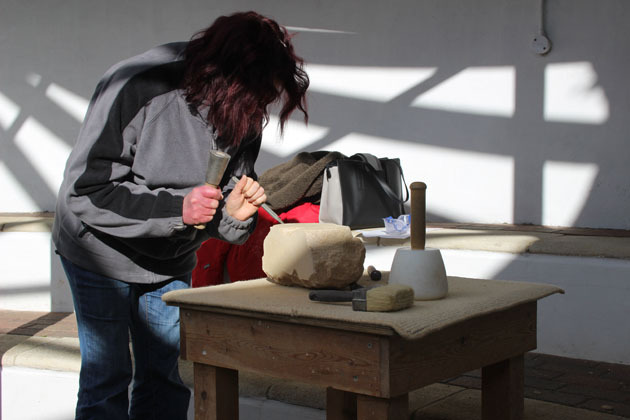 On Sunday I was at the Dales Countryside Museum in Hawes running a stone carving workshop and was joined by very enthusiastic first time carvers. 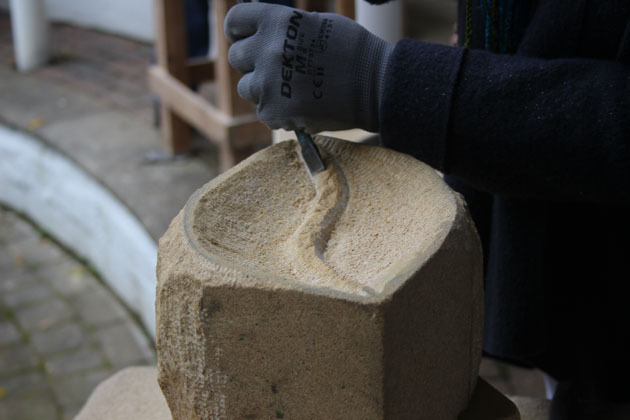 Stone shapes emerged and were perfected – I was very proud of everyone for putting such a lot of effort, enthusiasm, passion and soul into their sculptures – thankyou! 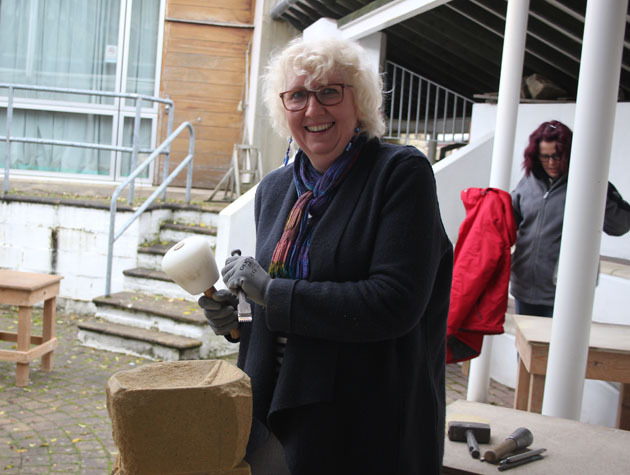 The Museum always look after me so well – helpers to set up, and clear away, and a volunteer joined me for the day, assisting and contributing beautifully – thankyou – and thankyou Jane Filby! 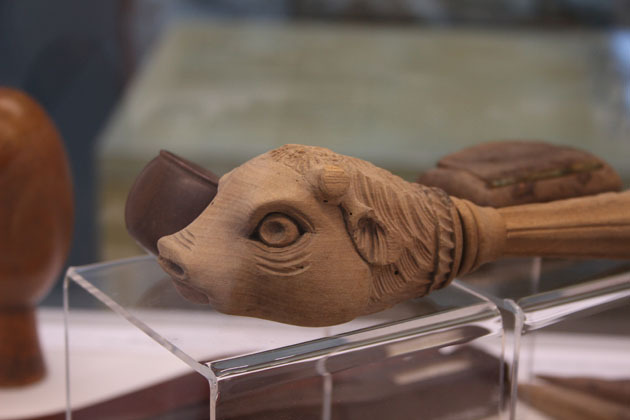 The Dales Countryside Museum had some new exhibits in the main entrance area, displaying and highlighting items from their collection. 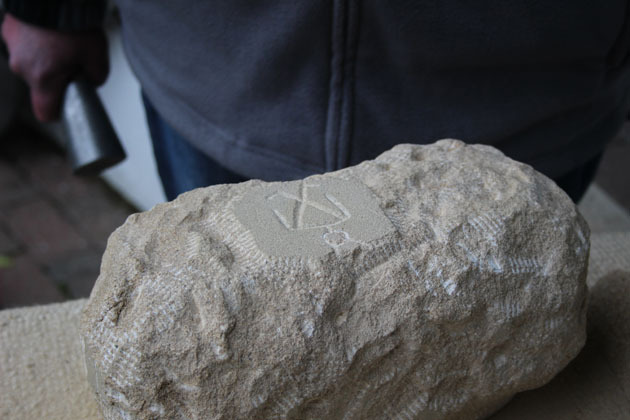 My favourite was one with fossils – though there was an exquisite ‘beast’ nut-cracker, and a little wooden crocodile which pleased me too. I popped in, all too briefly, to their current exhibition Nature, Skin and Bones which was fascinating and thought provoking. Must go back to see it properly. 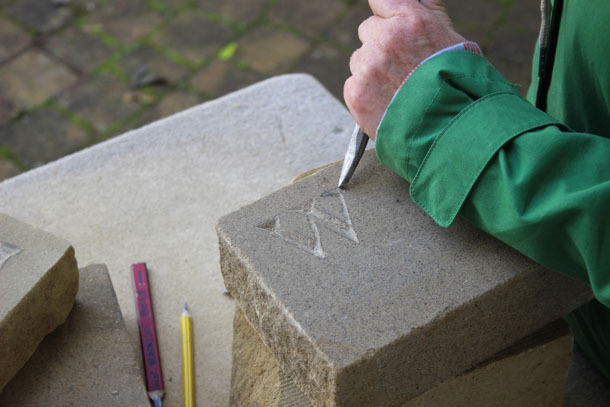 Here are the wonderful sculptures made during the stone carving workshop. 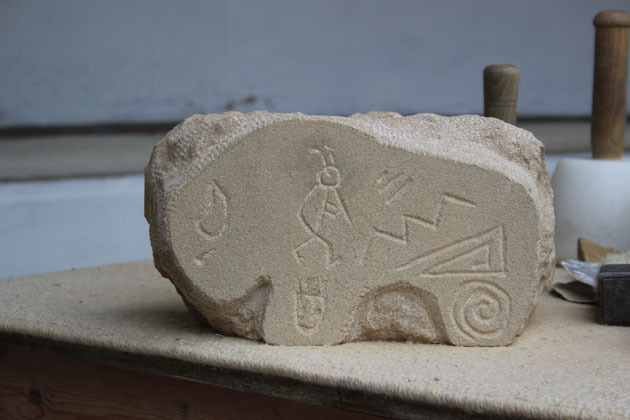 This piece was inspired by Native American Indian symbols and spirits and contrasted the rough rock with a smooth buffalo shape into which the signs and meanings were cut – which created a very strong and powerful sculpture. 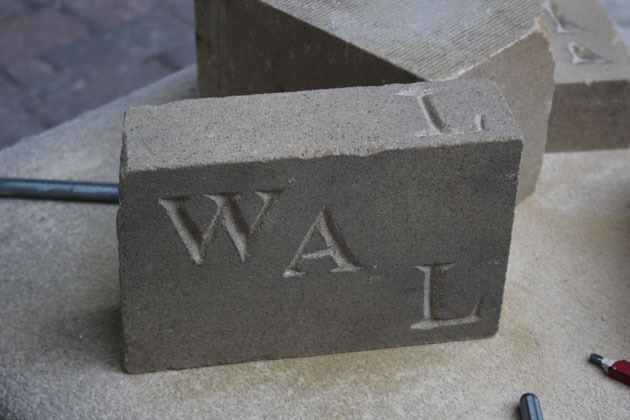 Lettercutting always works well, and this W A L L sculpture came about through a poem which had moved and resonated with the carver – what a lovely idea to have the letters clambering over the stone. 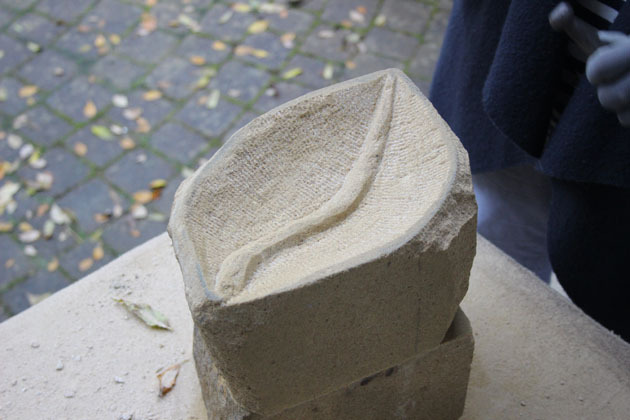 During the carving workshop Autumn leaves were falling on us, and although that wasn’t the reason for the leaf birdbath carving, the leaves did come in useful as ‘models’ for the sculpture.